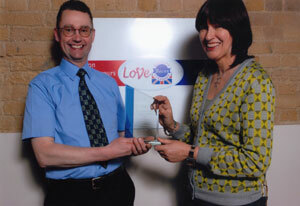 Janet Street Porter presenting winner John A. Nicholl of Huddlestons Butchers Ltd, Windermere, Cumbria with the National Dry Cured Bacon Championship Trophy for “Sweet Dry Cured Treacle Back Bacon”. 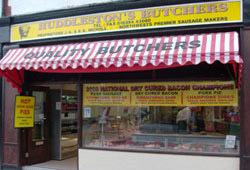 In 1988 John Nicholl took over as proprietor and has given Huddlestons the outstanding reptutation it has today. 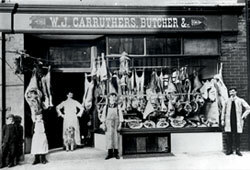 This is reflected in the recent awards that have been won. 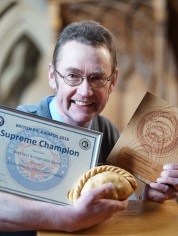 Over recent years we have won numerous other awards for our products.